Wearing glasses on a daily basis becomes more than just a habit of finding where you last put them down before you need to place them back on the bridge of your nose. You want what’s best for your face, including comfort while they rest on your head for hours and the durability of a pair that will stay with you for a while. ​What’s So Special about Polycarbonate Lenses? ​What Are Some Advantages of Owning Polycarbonate Lenses? ​How Much Does a Pair of Polycarbonate Lenses Cost? ​Where Should I Purchase Polycarbonate Lenses? ​What Are the Best Brands for Polycarbonate Lenses? ​Which Brand is the Absolute Best for Polycarbonate Lenses? If you’re worried about dropping your glasses and damaging them, you should consider polycarbonate lenses for your everyday use. With much more resistance to wear and tear than typical glass, you won’t have to worry much about replacing these lenses as part of your glasses maintenance. We’ll take a look at the best brand for polycarbonate lenses and find you a suitable pair to order today! The best thing about polycarbonate lenses is their durability and weight, or lack of weight. Compare these to your garden variety glass lenses seen in other typical pairs of glasses or protective eyewear. You’ll find that polycarbonate lenses are over ten times as resistant to impact. This can save you a ton of money if you are prone to dropping your glasses or forgetting where they are. Granted, polycarbonate lenses are nowhere near as thin as what you might find with other glasses. Although this might feel inconvenient, you’ll be making up for it with their resistance to scratches. Trust us when we tell you that the extra thickness is worth the bit of wiggle room sacrificed for polycarbonate lenses. We have already mentioned the durability advantages of polycarbonate lenses. What are some other reasons you might want to invest in them? If you wind up with a scratch on one of your lenses, it causes several problems. Not only does it devalue the lens itself, but you won’t be able to see through it as clearly as before. Although you can still scratch polycarbonate lenses, you’ll have a tough time accidentally causing any marks. Anti-scratch coatings on these lenses are very popular choices for glasses owners. Here’s a fun fact: polycarbonate lenses are automatically 100% UV resistant. If your glass lenses are made of traditional glass, you’ll need to coat them with a special protection. You don’t have to worry about this with polycarbonate lenses, as the UV protection is built into the material. If you work at a job that requires you to wear glasses all day long, you might feel like they are wearing down on the bridge of your nose. Polycarbonate lenses are much lighter, reducing the weight of the set of glasses on your face. Your ears and the sides of your temple will thank you for investing in polycarbonate lenses. When is the last time you dropped your glasses or accidentally sat on them without realizing they were on the chair? Thanks to the material in the construction of polycarbonate lenses, you won’t have to worry about the crunch underneath your waist or foot when your glasses take a tumble. Polycarbonate lenses are ten times as powerful to weight and gravity as glass. When you purchase a pair of polycarbonate lenses, you’ll be happy when you see the price in your shopping cart. Even with the added cost of shipping, this is a steal compared to what you might fork over for glasses made of heavier material. If you can find polycarbonate lenses in physical stores, you’ll have a chance to try them on. This might help you make a decision. It will allow you to see how comfortable they are for your face. You can find polycarbonate lenses anywhere glasses are sold, including LensCrafters, Sam’s Club, and EyeBuyDirect. Should you decide to purchase your glasses online, be sure that shipping insurance covers them. Even though polycarbonate lenses are much more resistant to jostling and breaking during shipping, you don’t want to open your packaging and expect to find a shattered pair of glasses. We scoured the best of the best to come up with the best brand of polycarbonate lenses for you to take home and call your new favorite pair. We looked for the convenience known in brand names that are associated with polycarbonate lenses and how available they are for purchasing. While you shop for your new pair of polycarbonate lenses, keep these five names in mind for your next prescription and when it is time for a new investment. Coastal is renowned for their generosity to patients who are looking to score rewards for their purchases. By partnering with the Essilor Vision Foundation, the company gives away a pair of polycarbonate lenses with the purchase of a pair at regular price. 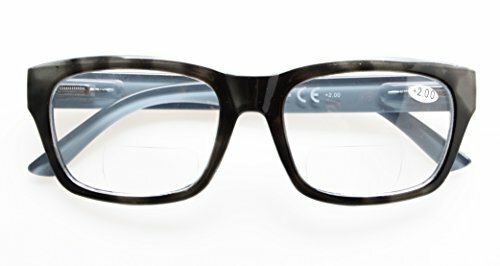 Prices for glasses through Coastal start on the low end. While they are not the cheapest option for purchasing polycarbonate lenses, they’re not out of reach for most customers either. 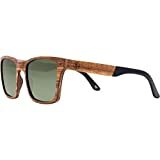 As with many online eyewear stores, you gain the benefits of free shipping and returns with Coastal purchases. Here’s the best part: Coastal regularly issues discounts on their polycarbonate lenses for you to use on purchases. If you are interested in getting two pairs of lenses – one for use in sunlight, and the other for indoors – Coastal is an excellent option. Even if it doesn’t come through the foundation’s grant, you can often find options for buying a pair and getting a second for free. If you are someone who cares deeply about the environment, you might be interested in Proof Eyewear. They are an eco-friendly eyewear name that focuses on making polycarbonate lenses out of a number of different materials. 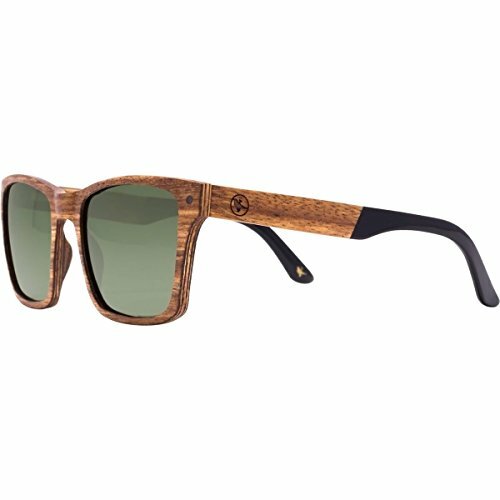 You can find glasses that have been made from repurposed metal, recycled skateboards, and FSC-certified word. Better still, you can choose from a specific ECO collection. In this section, you can find glasses that are made of biodegradable or renewable material. All purchases from Proof Eyewear contribute a portion to a charity. The organization receiving your donation might be nature conservancies or a name devoted to disaster relief. More than just a name devoted to charity and sustainability, Proof Eyewear is home to very fashionable designs. If you removed all of their information about environmental awareness, their aesthetics would rival the biggest names in designer eyewear. PREVENT FRYEYE - Too much blue light may cause FryEye, which can make your eyes feel tired, dry, blurry, or irritated. 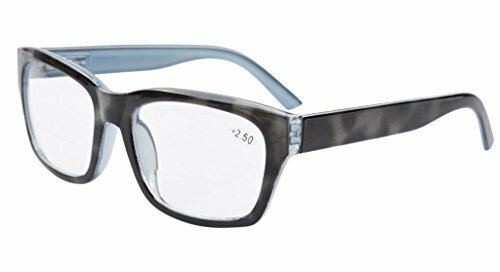 When the price is your number one concern upon purchasing a new pair of polycarbonate lenses, Zenni should be the name you look for. The company is built on the idea of providing affordable lenses that don’t slouch against the competition. Even with their prices as low as they are, you can find a quality pair of glasses that belong next to any other competitor on the market. You’ll find several hundred pairs of Zenni lenses for adults and children in their inventory. Yes, you read that right, even if you do need glasses. If you have been thinking about trying a wide variety of shapes and styles, this site is perfect to stock up on several. Obviously, you won’t be able to try on the frames yourself with an online vendor, but Zenni has their own solution in place of this. The Zenni Frame Fit lets you upload a photo of yourself while superimposing a set of polycarbonate lenses on your profile. It’s the next best thing to looking in a mirror to find out how a new set of glasses will look on you. Warby Parker is a name that has become synonymous with fairly-priced glasses that don’t look like they were picked out as an impulse buy at a supermarket. They have been around since 2010. And they have a very simple mission to make polycarbonate lenses and other glasses more affordable to people. One great advantage with Warby Parker is their ability to send you sample pairs. You’ll choose up to five types of frames and get them shipped to you at no extra charge. After a five-day trial period, you’ll send back the frames you don’t want, and keep the ones you have already tried. If you’re having trouble deciding what kind of glasses you want to wear, Warby Parker has an online quiz to help match you up with your newest pair of polycarbonate lenses. You’ll get special coatings to protect against sun glaring and scratching at no additional cost. Not to be outdone by their competitors, Warby Parker donates a pair of glasses with each new purchase. Completing the list is a vendor that makes every one of their polycarbonate lenses in their own facility. Thanks to this direct approach, prices at Eyebuydirect are low – not because workers are taking a cut, but because there is no other facility where Eyebuydirect’s inventory needs to be stored. All of their frames are customizable in color, shape, and rim. If you need a special type of eyewear, you’ll be able to find them at Eyebuydirect. You can find polycarbonate lenses in bifocal, transition, and progressive forms all in their store. They also manufacture a special type of their own lens designed to protect against the kind of light emitted from digital screens. This is a perfect idea if you go to the movies on a regular basis. They're also ideal if you have an office job that requires you to focus on a computer monitor all day. Choosing one single brand for polycarbonate lenses was difficult. Each of the names we have covered in this article offers excellent eyewear options for those who are in need of correction. Several of them are charitable and offer donations to needy people who cannot afford a pair of glasses on their own. At the end of the day, we had to go with Coastal for the top choice of best company for polycarbonate lenses. As we stated above, they are an affordable option without sinking too deeply into questionable prices. They may not offer the fancy virtual assistant that Zenni Frame Fit has or allow you to demo several pairs similar to Warby Parker. Nonetheless, we think their balance of low cost and fair terms gives them the best options to provide to customers. If you choose to support a company that shares some of your passions, you might want to spend a bit extra to get your polycarbonate lenses with Proof Eyewear. No other eyewear company we have seen has focused its efforts on sustainability and renewability like Proof. And even without a lot of competition in this regard, they are experts at what they do. Even though polycarbonate lenses are much more durable than your average pair of glasses, that doesn’t mean you can toss them around like a sitcom prop. Be sure to care for your eyewear no matter what they’re made of. This includes polycarbonate lenses, which can still be scratched or damaged with the wear and tear of everyday use. When you aren’t wearing them, keep a glasses case nearby so you don’t run the risk of misplacing them. Most of the time, you can add on a nice case for your polycarbonate lenses as a last-minute purchase before finalizing the sale. We hope you find the perfect fit for your face and enjoy the ability to see without any trouble!